One of my very good friends, Renee, & her family are getting ready to embark on a grand adventure...moving to Australia!! Renee is originally from Australia, but has been living in the U.S.A. for the past 8-9 years and now it's time to go HOME! I hadn't seen Renee in a number of years because both our husbands are in the Air Force, so when I found out she was moving, I hopped on a plane & spent a fun-filled weekend with her & her family! I just had to make her a little something to put pictures of her American friends in, so she wouldn't forget about us! I used Stampin' Up! 's UR Sweet Simply Scrappin' Kit (now retired, but you can get the 2 Sweet Simply Scrappin' Kit...it has the same paper & die-cut adhesive patterns, but in a different color scheme). I left the ribbons on the side kind of long, so that as she added photos & the album started bulking up, she could loosen the ribbons. For my November Simply Scrappin' Club (Wow! Where does the time go? ), the club members could pick either the Summer Home or Winter Retreat Simply Scrappin' Kits. I kind of hesitate to show these since they were on the Retiring Accessories List & I think they are SOLD OUT already!! EEK!! But, here are the pages we made. Sorry there aren't any pictures on them yet!! I've posted the Summer Retreat Pages first; followed immediately by it's Winter Retreat companion. Pages 1 & 2--inspired by the product insert with the Summer Home/Winter Retreat SSK. Pages 3 & 4--These pages I was fortunate enough to get as a class planner from Heather. You can get the class planner yourself right HERE. She makes it sooo easy! Pages 5 & 6--These pages were also from Heather's Class Plannner! The title "my life as mom" came from the adhesive die cuts that came with the kit, but you would see them as "family" and "memories" on the sheet...sometimes you just gotta think outside the box! Pages 7 & 8--These pages were inspired by Heather, but didn't really end up looking like her pages too much. 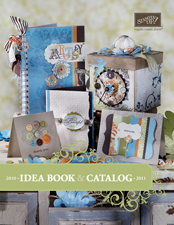 I hope you enjoyed these pages & that they will inspire you to pull out your Simply Scrappin' Kits to make some pages. These pages would definitely be easy to duplicate with any of Stampin' Up! 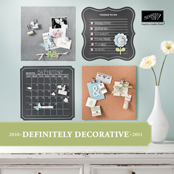 's Simply Scrappin' Kits or by using your favorite Designer Series Paper & stamps! By the way, I made sure to ask Heather's permission to post these! Be sure to check out her class planners HERE . 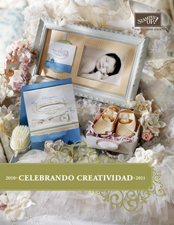 For just a few dollars, you save LOTS OF TIME in trying to come up with some GREAT IDEAS for scrapbooking!! Just in-case you didn't know, I'm a homeschooling mama. The homeschooling curriculum we use is from My Father's World which can be found at www.mfwbooks.com This year my eldest daughter, Emma, is in third grade and we are "Exploring Countries & Cultures". So basically, we are learning about different countries, people, plants & animals...fun! Since we will be globe trotting, one of the projects was to make a passport from a couple of sheets of folded paper....BORING!! So, I decided to make Emma this cool passport. At the beginning of the school year, Emma had to fill out a "passport form" and address an envelope to the "passport agency" (me). So now that the "passport agency" has had a chance to process her "paperwork", Emma finally received her "passport" in the mail a couple of weeks ago. I thought I'd share with you what she received in the mail...actually, I did put it in a big brown envelope & ran it up to the mailbox without her knowing and then had her go "check" the mail. (By the way, do you like my use of quotation marks?? No? Okay, I'll stop!) She was really excited to get the big envelope & even more delighted with her passport. I'll be sure to show you a few of her completed pages at the end of the year. FYI: Just about EVERYTHING I used to make this passport is retired!! This is why I have a hard time letting go of retired stuff, because I might NEED it for something, & look, I was able to use the retired DSP, stamps, In Colors Ink & CS, & ribbons! YEAH!! I'll be sure to let you know how our adventure around the world turns out! Although My Father's World does a great job at providing ample resources, if you have any suggestions for crafts, recipes, books, or videos that might enhance our journey, I'd love to hear from you! Have you ever worked on a project that you felt like you were fighting the whole way?? That's how I felt yesterday when I was making this Clipboard Calendar Project. I think it turned out great in the end, but getting there was no easy task! I'll explain more in just a bit. 1. Getting the paper to fit nicely around the clipboard clips!! GRR! It would be nice if the clips came separtely so we could just adhere the paper to a nice flat surface & then attach the clips...I'm going to submit that idea to Stampin' Up! (They are very good at listening to suggestions.) I struggled with making a template, but I finally figured it out & I'm going to guard my template with my life!! If you have a simple way of getting the paper to fit nicely, please let me know!! 2. After stamping all of my Create-A-Calendar pieces, I wanted to clip them under the clip to see how much room I had at the bottom for my clipboard to show....Well, wouldn't you know it, the calendar pages are LONGER than the 3 clip clipboard!! GRR! Since there was a picture of the 3 Clip Clipboard on the Create-A-Calendar package, I figured it would work, but no, you have to trim them a little bit. Since I had already stamped them, most of them would not look right if you trimmed them. Thankfully, I had purchased a second set & was going to make a calendar clipboard using the skinny single clip clipboard...which is just the perfect size for holding the Create-A-Calendar Kit! I also ended up trimming them on the sides as well so that more of the clipboard would show. The final measurement for the calendars ended up being 3.5 x 6.5...and I might even trim just a little more...we'll see. So a word to the wise, be sure to measure EVERYTHING before beginning a project! I hope I didn't scare anyone away from making this project. Once I figured out MY issues, I think it came together very nicely. I kept the colors the same as the Create-A-Calendar Kit--Chocolate Chip, Pumpkin Pie, Riding Hood Red, Old Olive, & Bashful Blue--to keep a uniform look. As you have probably figured out, some of the stamps I used are retired. The design of the clipboard came from an online class I took called Got Sketch 101. Here are the other 2 card styles that my club members made on Monday. Does this card look a little familiar? It might if you attended convention 2 years ago or purchased the Card Kit Stampin' Up! offered to Demonstrators like I did. I still have quite a few of these left, so I went ahead and used them at my card club. I let my clubbers know that the Cool Carribbean Card Stock & Ink are both from the retired 2006-2007 In Color Collection. The Club Card is on the Left and the original from the Kit is on the Right. It used Rose Red Craft on the flower and Marigold Morning (also from the Retired In Color Collection) for the flower Center & tag on the right of the card. PS...Don't forget that you can click on the pictures so you can view a much larger image. Here's the cool mini album I made for them & for me. I'll show you some today & some tomorrow. I made a little pocket page at the end of each section to record our favorite things. I'll be posting the rest of the album tomorrow! Okay, so Mother's Day was officially TWO WEEKS AGO, and I just FINALLY sent my mom her gift! Bad Daughter...I know! But hopefully, all will be forgiven when the Post Man rings her bell and hands her this delightful gift!! Do you think she'll forgive me?? These pictures were taken of my children on Easter this year. I just love how it turned out and almost want to keep it myself! Since I'm writing this just before I'm going on my trip, I don't have time to post details, so I'll do that when I get back...I promise! Don't you think you should stock up on these cool clipboards while they are on sale & then make these for Christmas presents?? YES YOU SHOULD!! I should be sitting by the pool today...I hope I don't forget to put on sunscreen! My hubby will be mad if I get burnt!! EEK!